mistakes. The one mistake that always seems to make me stop dead in my tracks is when I come upon a previously installed system where the fan assembly is located indoors. This sight reminds me of the one undisputed truth which is “All fan motors will leak air eventually.” It’s that simple. When you are paying someone to rid your space of unsafe vapors… why would you want them to place the fan motor inside your building? 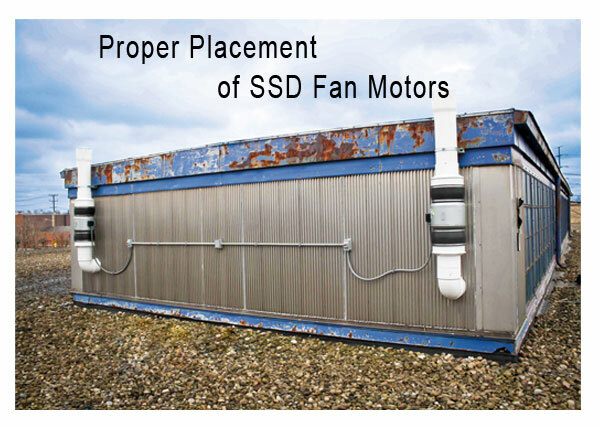 As the system ages and the fan begins to leak air, you are expelling the hazardous vapors right back into the building, quite often making the problem worse than before the system was installed.